"That was the best acting I've ever seen in my whole life." Sony has unveiled the very first teaser trailer for Quentin Tarantino's latest movie, his 9th feature film, titled Once Upon a Time in Hollywood. This one is set in Los Angeles in 1969, right smack in the middle of Hollywood (as the title hints), taking us back to the final years of Hollywood's Golden Age. The story involves a faded TV actor and his stunt double who embark on an odyssey to achieve fame and success in the film industry. The massive ensemble cast features Leonardo DiCaprio, Brad Pitt, Margot Robbie, Dakota Fanning, Al Pacino, Timothy Olyphant, Margaret Qualley, Kurt Russell, Rumer Willis, Scoot McNairy, Leslie Bega, James Marsden, Tim Roth, Damian Lewis, and the late Luke Perry. This looks zany and totally ridiculous, exactly what we should expect from Tarantino. So far so good, looks like he is really digging deep into ye olde Hollywood. 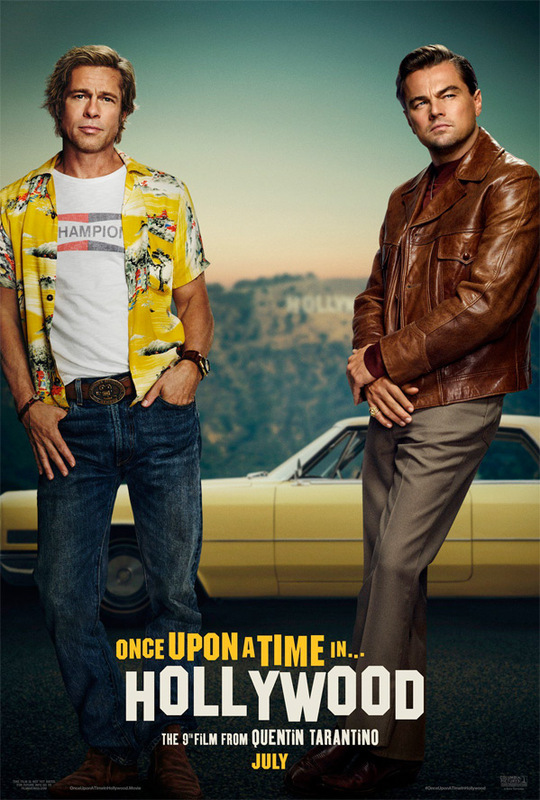 For more updates on Tarantino's latest, follow the film on Twitter @OnceInHollywood or visit its Facebook. Set in 1969 Los Angeles, around the time of the Charles Manson murders, a television actor and his stunt double embark on an odyssey to make a name for themselves in the film industry. Once Upon a Time in Hollywood is both written and directed by acclaimed American filmmaker Quentin Tarantino, director of the films Reservoir Dogs, Pulp Fiction, Jackie Brown, Kill Bill: Vol. 1 & Vol. 2, part of Sin City, Grindhouse, Inglourious Basterds, Django Unchained, and The Hateful Eight previously. The film is expected to initially premiere at the Cannes Film Festival this May. 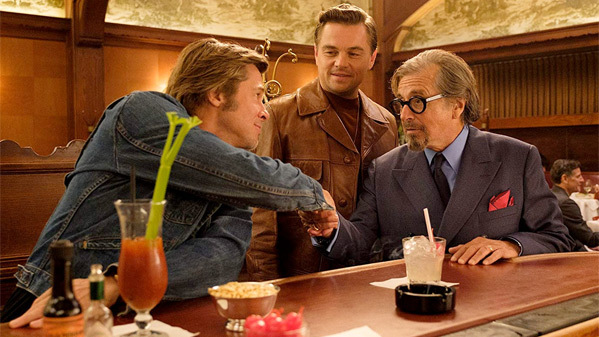 Sony Pictures will release Tarantino's Once Upon a Time in Hollywood in theaters starting on July 26th, 2019 in the summer. First impression? How does that look?